Gold, white, blue Louisiana colors dominate the state seal and state flag of Louisiana. 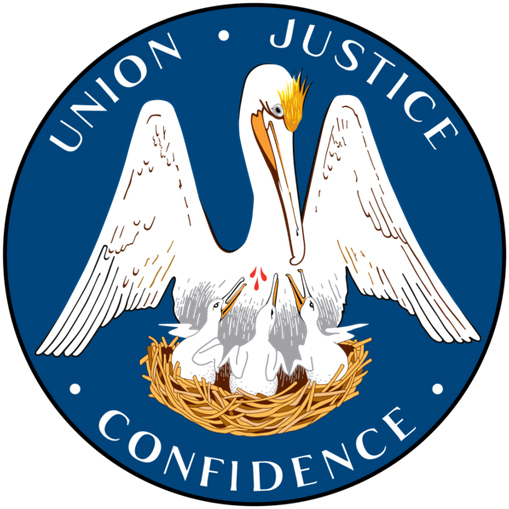 Louisiana designated blue, white, and gold as the official state colors in 1972. These colors dominate the state flag, seal, and the official state painting.